TORONTO, ON – Import agency Beerthirst has announced the launch of its Ontario division with the release of several brands from San Diego’s Modern Times Beer. 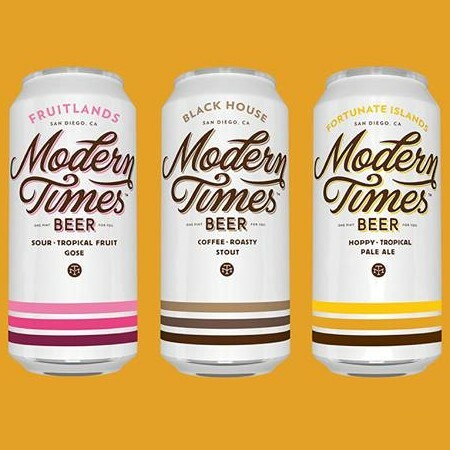 Three Modern Times products – Fortunate Islands Pale Ale (5% abv, 46 IBU), Black House Oatmeal Coffee Stout (5.8% abv, 40 IBU), and Fruitlands Gose (4.8% abv, 17 IBU) – started rolling out last month, and are now available in 473 ml cans at LCBO locations throughout Ontario. For more details, see the Beerthirst Ontario Facebook page and Twitter feed.